Volante is one of 11 new restaurants developed and operated by OTG at Minneapolis-St. Paul International Airport (Photo: Business Wire). MINNEAPOLIS--(BUSINESS WIRE)--When traveling through Minneapolis-St. Paul International Airport (MSP) this holiday season, make sure you allow time to experience what Airports Council International – North America (ACI-NA) calls the Best Food and Beverage Program of any large airport in North America. The award win announced earlier this month celebrates the MSP’s Terminal 1-Lindbergh food and beverage program, which was recently enhanced by 11 new restaurants on Concourse G. The new restaurants were developed and are operated by OTG, a company known for locally inspired menus and iPads at every seat. 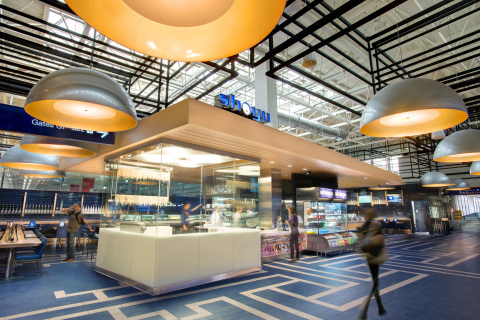 The ACI-NA Excellence in Airport Concessions Contest is meant to inspire creativity in the industry and to recognize innovative and outstanding airport concessions. The contest is judged by an independent panel comprised of high-level professionals with no vested interest in concession operations or the outcome of any one airport. ACI-NA received 200 nominations from airports throughout the U.S. and Canada for this year’s contest. OTG was selected by Delta Airlines and the Metropolitan Airports Commission (MAC) to create and operate new dining and retail space on Concourse G. OTG’s goal was to create an exceptional airport experience for its passengers through its technologically innovative seating concept and offering fresh, often locally sourced food created by some of the Twin Cities’ most respected chefs. All concepts incorporate fresh, vivid designs and local chef-driven menus accessible by iPads at each seat. Seating extends into the airline gate hold areas, so travelers can relax and enjoy a meal or drinks without worrying about missing boarding announcements. Sales on Concourse G have increased 44% since the program launched. The concourse offers travelers a variety of flavor profiles, including: Asian (Shoyu); Italian (Volante); Pizza (Vero); French (Mimosa); American (TwinBurger, Mill City Tavern); and others. More than 1,700 iPads are available throughout the concourse, including one at each seat at every restaurant. The iPads can be used to order food, check flight status, access email or browse the internet. OTG has received numerous accolades for their work across North America. Most recently, Travel + Leisure voted Minneapolis-St. Paul International one of the 10 best airports in 2013 and number one in 2012. Nominations for the ACI-NA concession awards were judged on concessions’ goals and how they were met, use of concepts and branding, program design and layout, customer service, revenue performance and location. Learn more about MSP Airport at www.mspairport.com. For more information about OTG please visit: www.otgmanagement.com. More information about MSP’s award for Best Food & Beverage Program can be found at http://www.aci-na-2013concessions-book.org/#!best-food-program---first/cdpc. More information about the ACI-NA concessions contest can be found at http://aci-na.org/newsroom/press-releases/san-francisco-winner-overall-griesbach-award-excellence-2013-aci-na-concessi. OTG (www.otgmanagement.com) is an award-winning airport food & beverage operator with more than 200 restaurants and retail boutiques in 10 airports, including Minneapolis-St. Paul, John F. Kennedy, LaGuardia, Toronto Pearson, Boston Logan, Tucson, Washington National, Orlando, Chicago O’Hare and Philadelphia. Since its entry into airports in 1996, OTG has been recognized throughout the industry for its exceptional customer focus and groundbreaking innovation; growing to become the second largest privately held airport food operator in the United States in just over a decade. 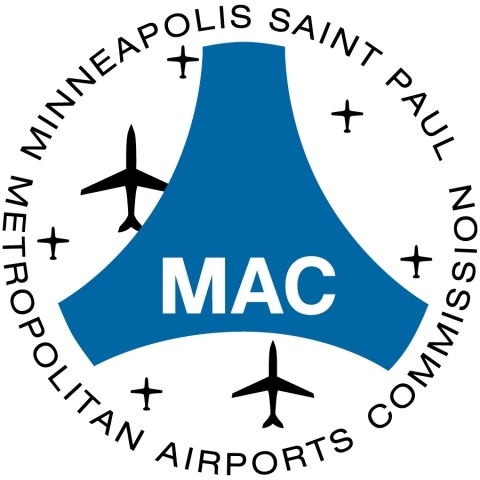 A public corporation of the state of Minnesota, the Metropolitan Airports Commission owns and operates seven airports in the Twin Cities Metropolitan area, including Minneapolis-St. Paul International. MSP injects more than $10 billion into the area economy each year and supports more than 76,000 jobs.